Experience the gorgeous and rare examples of Ladakh’s unique artistic heritage. 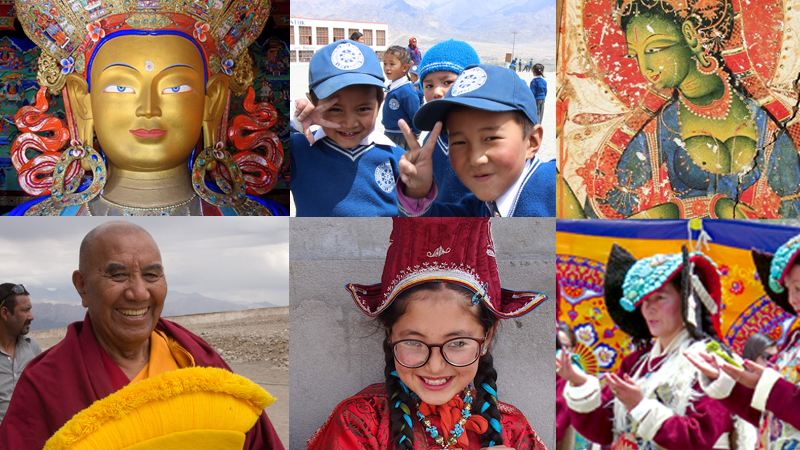 Hosted by Siddhartha School co-founder Laura Kozaitis, who first came to Ladakh to study art and Buddhist painting in 1989 and has made over 15 trips to the region, this tour will help support arts and media programming for our students. Our friends love this Ladakh experience, which includes the opportunity to contribute meaningfully in the village of Stok by living, working, and learning with a local host family. Take in the rhythms of village life, explore local heritage sights and have the opportunity to participate in a service project with our students.